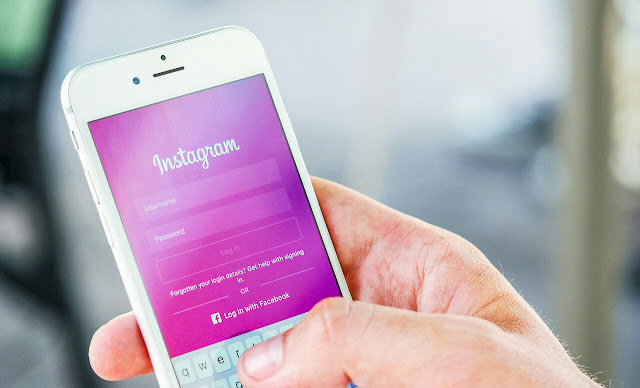 Hello Friends, Agar aapne Instagram abhi chalana start kiya hai to aapko pata nahi hoga instagram me profile picture ko change ya dp ko kaise lagate hai to is article me main aapko btane wala hu ki how to change instagram profile picture in hindi me. Instagram profile picture ko change kaise kare ke liye me aapko niche steps wise btara hu aap in steps ko follow kare or apne instagram ki profile picture ko change kare. Step 1: Sabse pehle aap apne instagram app ko open kar le. Step 2: App open karne ke baad aap apni Instagram Profile Option par chale jaye. 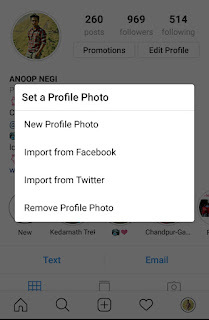 Step 3: Profile par jane ke baad jaha par profile picture lagate hai us circle par 1s ke liye zor se dabaye, aapko apni profile picture change karne ka option mil jayega. 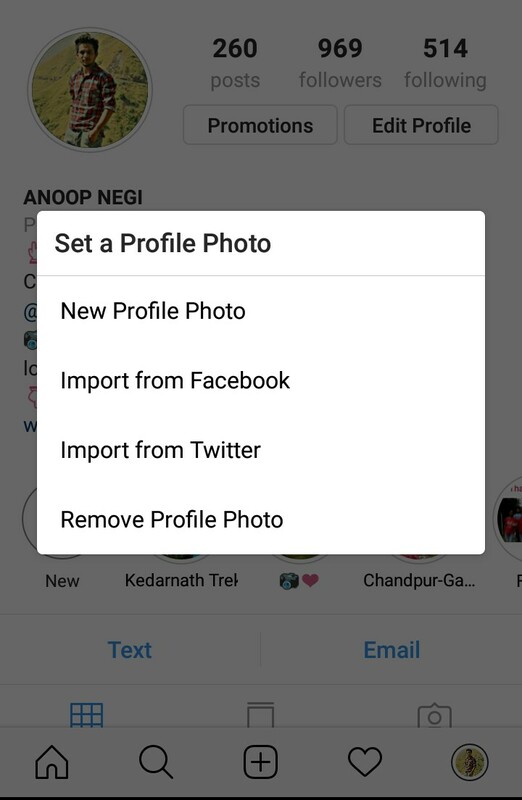 Is method se aap aasani se apni insta profile picture ko change kar sakte hai aasha karta hu ki aapko yeh info how to change instagram profile picture in hindi me achi lagi agar aapko kuch bhi puchna hoto hame comments kar ke puch sakte hai or is post ko apne friends ke sath jaroor share kare.